At a time when Loudoun County has very low unemployment, it should be no surprise that animals are entering the workforce. Everyone knows about K-9 police dogs and barn cats. But did you know that some of our farm animals are in the “gig economy” as well? Double 8 Alpaca Ranch announced in October that they will be providing alpaca support for weddings in 2019, joining the latest rustic wedding trend. Besides adding a fuzzy face to your wedding photos, interacting with alpacas can help reduce stress and anxiety around the big day. 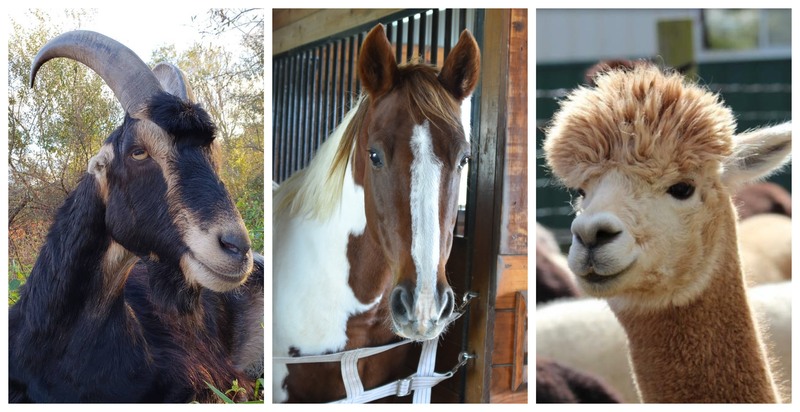 Don’t worry; alpacas may look like llamas, but they are smaller have a much friendlier reputation. Their hypo-allergenic fiber is also a lot like a sheep’s wool, but without the greasy lanolin. Whether you want to hire an alpaca for photos, as a ring bearer, or even to help welcome guests, alpacas are a trendy addition to your important day. 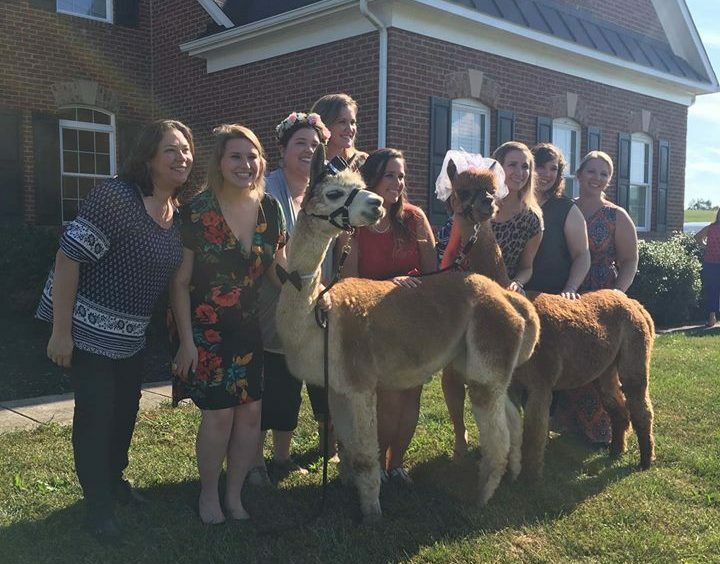 Double 8 alpacas are available for your wedding or outdoor event within a 20-mile radius of the Lovettsville ranch, which includes most of Loudoun’s spectacular wedding venues. Learn more information. Leave your overgrown vegetation to the goats at 56 Hooves, who can clean it up without machinery or harsh chemicals. The concept is simple: tell 56 Hooves your estimated acreage, types of vegetation and reason for clearing the site. They will provide you with a fenced-in area and enough goats to clear the space in the matter of a few days or weeks. It’s the perfect eco-friendly solution for trails, parks, landscapers and homeowners associations. While contract grazing might take a little extra time, it also has its advantages. Poison ivy can make an area impassable for humans, but plants like this provide a delicious treat for goats. Goat mouths are also designed to crush the seeds of unwanted vegetation, which makes them unviable to regrow, whereas machinery just spreads the seeds around. As a bonus, the goats will fertilize the area for free. Ideal work sites within 50 miles of Bluemont include the margins of forests, along fence lines, and anywhere that invasive plant species and ticks like to grow. They also provide emotional therapy. Learn more information. Saddle Book Academy is a concept that fits perfectly in Loudoun County, where horses and education are both key. The after-school tutoring program provides 5th-8th-grade students with classroom time as well as math and science lessons with the horses. Once the homework is complete, students learn leadership, communication, self-discipline and responsibility from the horses. How can a horse know so much? First of all, horses interact best with confident and trustworthy leaders, and trust is built on everything from verbal commands to nonverbal cues and energy. Where humans can filter their reactions for political reasons, horses hold a mirror up to your true self, according to Redmond, WA-based Roam Consulting, which runs a “Leadership With Horses” program. Horses give feedback in real time, and help kids at Saddle Book Academy apply math and science to the real world. Learn more information. 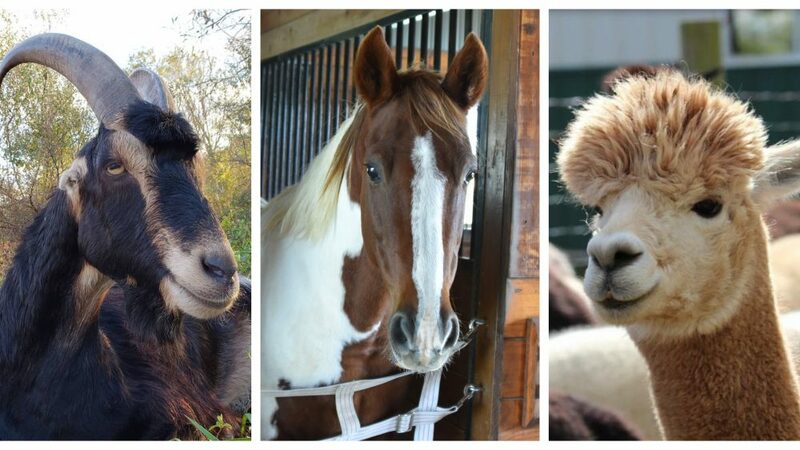 The next time you encounter a job that only a real animal could fill, keep your fuzzy Loudoun farm friends in mind. They could be your best hire of 2019.